These awesome electric 12-string guitars play great! Designed by noted guitarman Alan Entwistle. 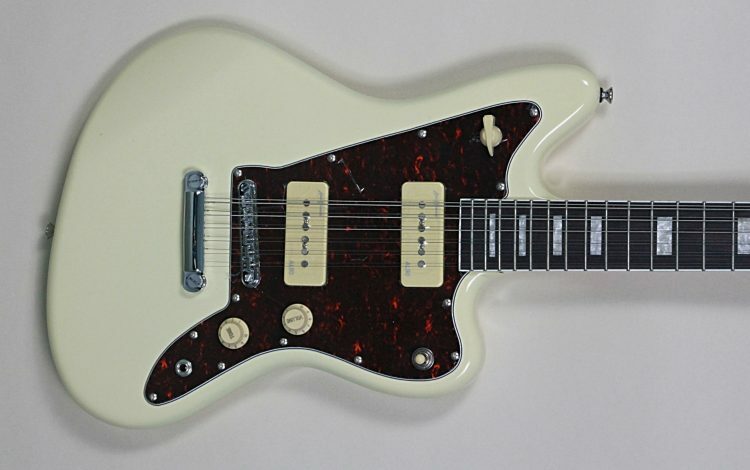 Features a wide neck for players who’ve felt a bit cramped on a Ricky, with a Jazzmaster style body and fat Entwistle P-90 pickups. Stability and tone at an absolutely unbelievable price. Get ready to be miles high and fly like a byrd with this guitar.